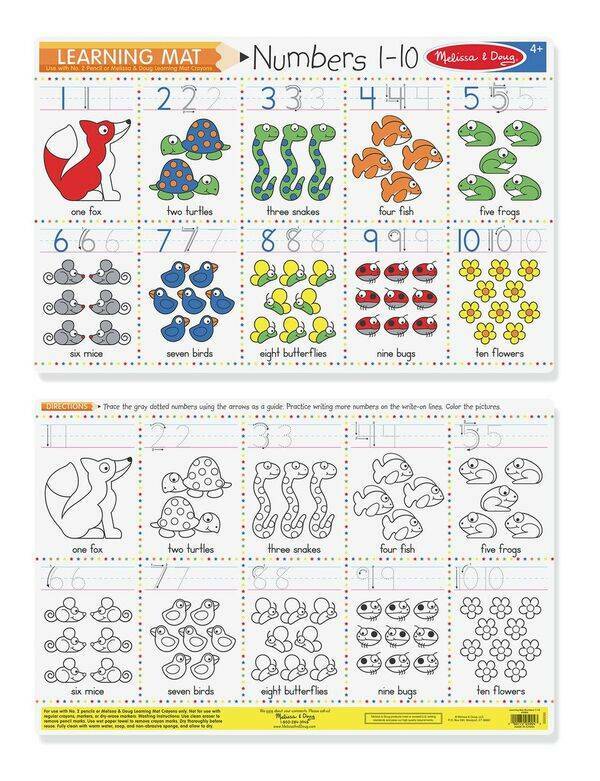 Present your child with this double-sided mat that introduces numbers and counting in a fun and engaging way. Using the five wipe-off crayons (not incl. ), play becomes active learning--and mastering these important academic skills becomes as easy as 1, 2, 3!